Deal Expired...but might be back soon! How easy is Folder Armor? This easy: just locate the folder you want to secure from the file tree, and click the 'Lock Folder' button. That's all! If you didn't disable the option "Integrate Real Folder Lock into shell" when installing the software, you can access Folder Armor from the standard folder context menu, which appears when you click on a folder icon from Windows Explorer or from the desktop. 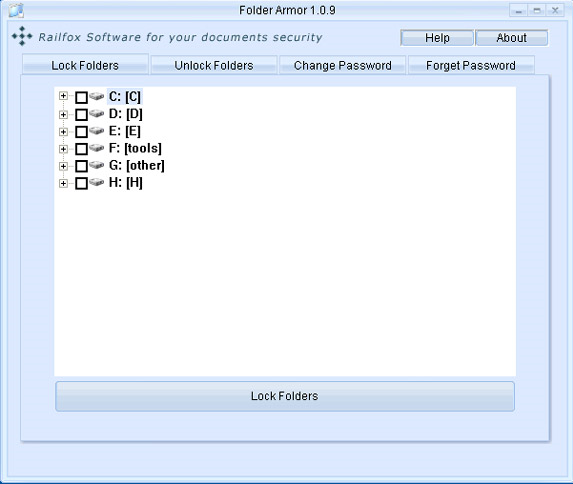 Folder Armor protects your folders in Windows, DOS, and Safe modes, even when you change your OS or boot from a disk. Folder Armor doesn't let you delete its own program folder, and it can't be uninstalled without the correct password.